Jacquelynn is using Smore newsletters to spread the word online. Happy February! It's Valentine's and Presidents Day weekend and many of you are on little mini vacations and others are just relaxing and spending some much deserved time off at home. 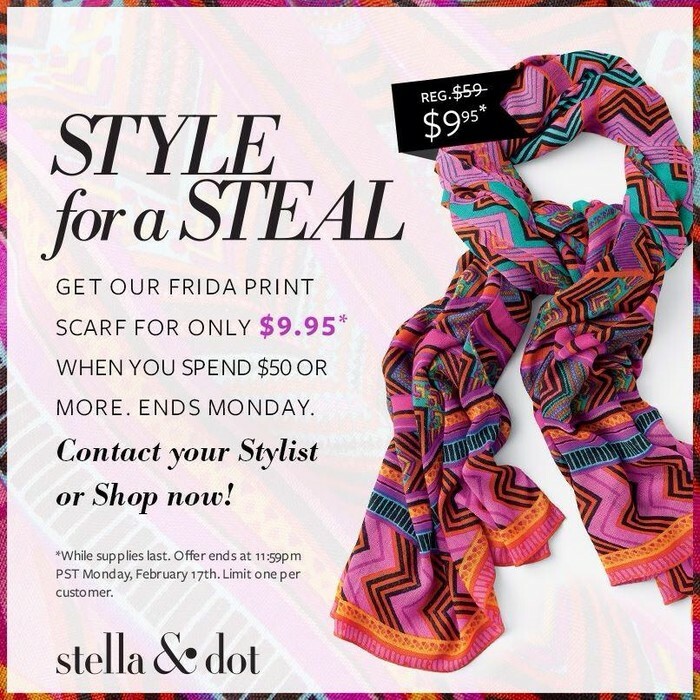 Whatever the case; I wanted to send you a little newsletter from your favorite jewelry lady to tell you all about the great things that are happening with Stella & Dot!!! Enjoy and please let me know if there's ever anything I can do to assist you with your gifts or accessory purchases. I appreciate your business and I love hearing how happy you are with everything you are receiving in those cute little packages!! 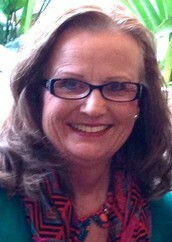 I am so passionate about this business and helping women to feel beautiful and empowered!! 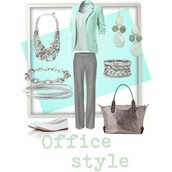 I truly believe that every outfit needs to be accessorized!! In fact...."Fashion is Nothing without the Accessories." WEEKEND SPECIAL JUST FOR YOU!! 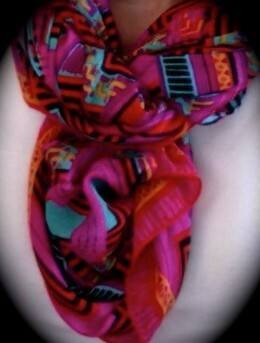 ONE OF MY FAVORITE SCARVES! 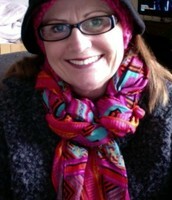 This scarf has so many colors that I find, I'm constantly wearing it. 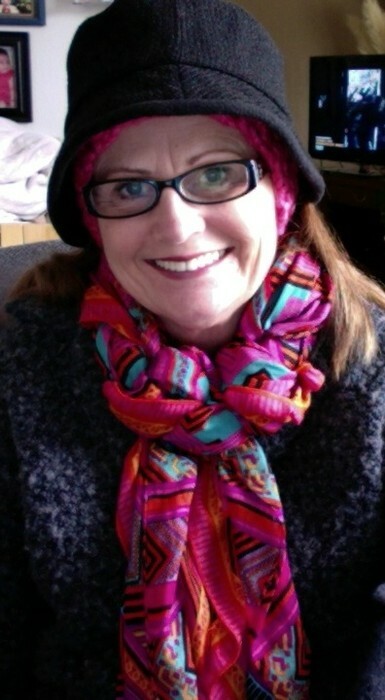 Here; I am heading out on errands on a cold day. This weekend till 11:59 p.m. Monday, 2/17 PST...only $9.95 with $50 order!! Get one of each when you spend $50!! 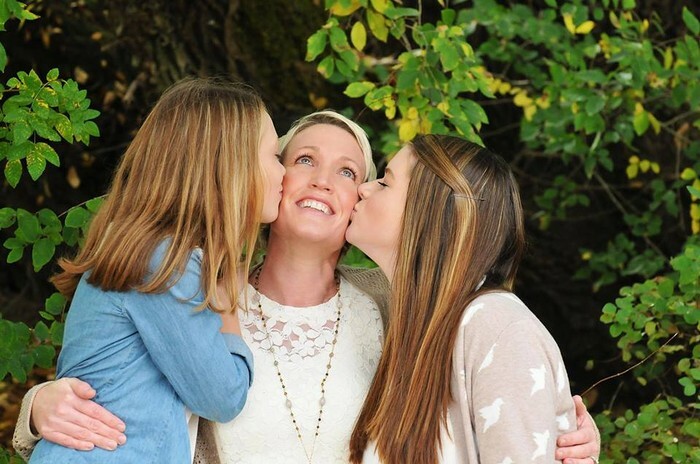 Kira was a Stella and Dot Stylist at one time and has been undergoing an ongoing battle with cancer. She just found out that it's back again in her liver and she needs all the love and support she can possible receive. With that; I decided I would start a fundraiser for her and give all my commissions to her family from this show. If you'd like to help, we will put your order on this show and all the hostess credits and money will go to helping with any type of medical costs her family will endure during this most difficult time. Here's the shopping link again or if you need me to process your order, I'm happy to do that, too. Just message me. 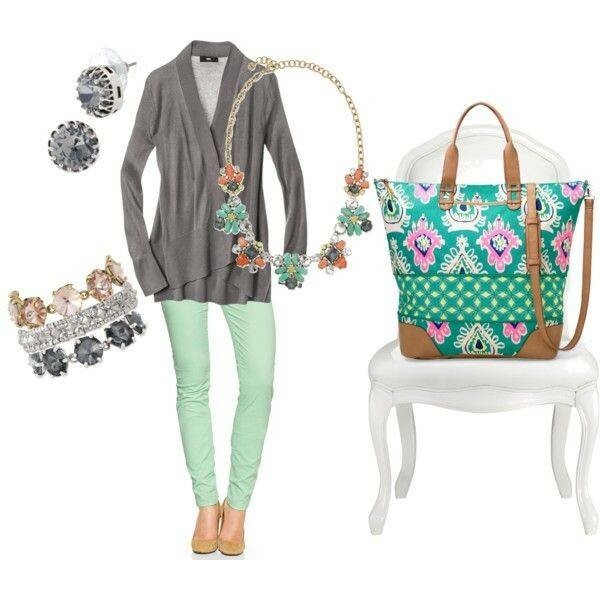 Love People, Fashion and Accessories....maybe this is for YOU!!! The new Spring collection is amazing; have you seen it in person? Of course; shopping online is fun and convenient but I'd also love to bring it right to your kitchen counter, dining room table or living room!! I travel all over doing shows and if I can't get there; I have many team members who would love to accommodate you!! Our trunk shows are fun and stylish with your Stylist showing all the latest trends and so many ways you can wear our versatile jewelry!! 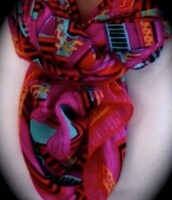 Wondering how to tie scarfs; you can learn that at a trunkshow. Been a while since you have gotten together with the ladies...book a show....shopping and chatting and a little bubbly of some sort are good for the soul!! I'm schedule shows in February, March and April. I will be in Arizona for most of March and early April and will be doing shows there, too!! I go all over Western Washington, Eastern Washington and Oregon for shows. 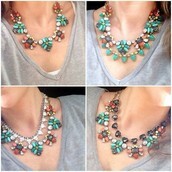 Our hostesses earn so much free jewelry and half priced items. On the average; my hostesses earn around $200 in free and 3 half priced items just for having a few friends over and having fun actually!! Book yours soon!!! What to Wear with Which Neckline? Here you go!! 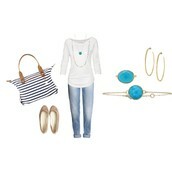 You can see how the simplest casual outfit can be dressed up with the Frida Necklace!! Meet the Elodie.....isn't she great!! 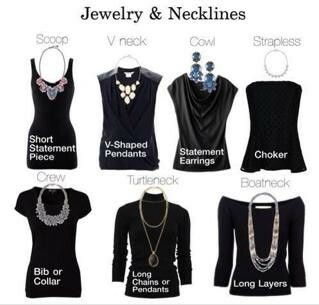 Show alone or paired with other necklaces. 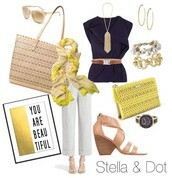 Check out the yellow scarf, clutch with the new perforated bag and gold jewelry, too! Look What's New for Travel!! 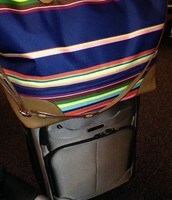 Fun to travel with...oh so colorful!!! All in cleanable and easy to maintain fabrics!!! 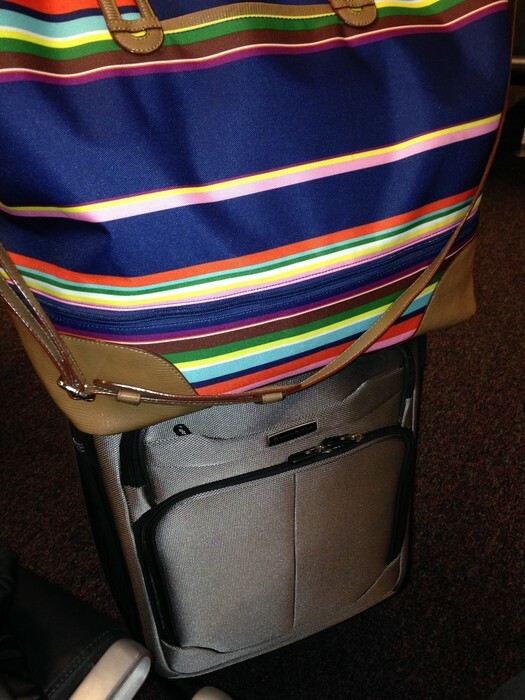 This bag is wonderful for travel and when the extension is zipped, it will fit under your seat on the plane!! 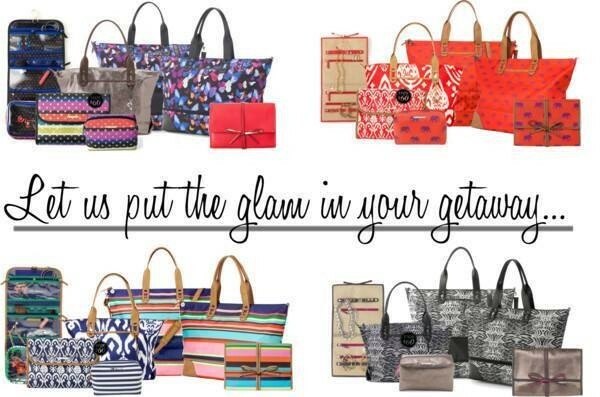 Extend it for picnics, the beach or shopping!! 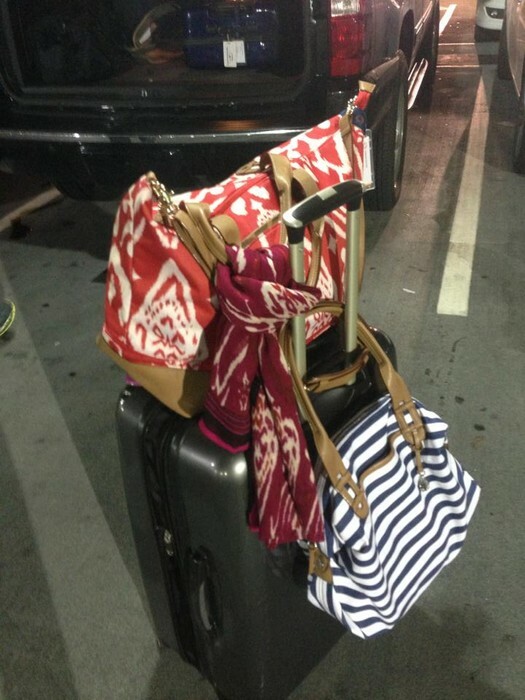 Works as your personal item along with the roller suitcase for two items going on the plane. 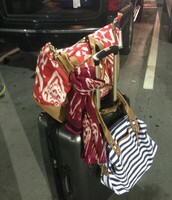 Another New Getaway Weekender Bag! Do you want a birthday surprise?!! I am collecting your date of birth....month and date for my records. 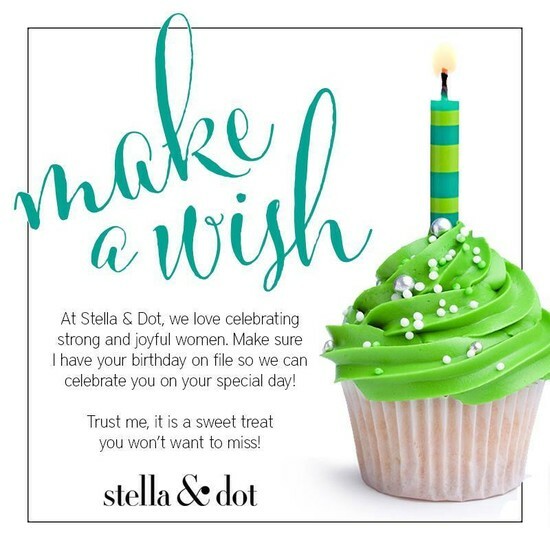 I will enter it into your information and on your birthday, you will receive a great surprise from Stella and Dot!! All you need to do is reply to this emailer and give me that information! Thank you!! It's just another way we are showing our appreciate for your business!! Where Will Jackie be??? Here's some of my upcoming events!! Come out for our monthly ladies night. Mark it on your calendars for the third thirsty Thursday of every month!! Prizes, specials, great wine selection and fabulous friends. Help us to make this a success. It's not a party without you!! Bring your friends!! Come by this amazing store and see what Judy has in the way of gifts and furniture!! I will be there set up with Stella and Dot also. What a great way to see the Spring line in person!! CakeCake Bakery, downtown Aberdeen in the Elks Bldg. Stop by the Bakery and see me!! I'll be there showing all the brides our great accessories and gifts for upcoming weddings and events along with just saying hello to all of you, too. Come by and see the new CakeCakes Bakery and Stella & Dot!! Harts and Pearls will also be there from 2:30-5p.m. I Do Personal Stylish Sessions & Closet Make Overs!! How do these work? Easy...just make an appointment and I'll come to your house, we will organize your closet, take some key pieces that will work into Spring and Summer and see what you might need in the way of color, texture, etc. Invite a few of your girlfriends over to do the same and we all of a sudden have a trunkshow, too where you can earn free jewelry for your closet makeover!! Or, if you just want to have me all to yourself, that is fine, too. I love to work with what you have, remodel a little with some new accessories; show you how your present accessories can work in, etc. We can also do this over Skype, too!! I hope you enjoyed this newsletter! I am always here to help in any way I can with your accessory purchases. It always gives me great pleasure and happiness to know you have chosen me for your "jewelry lady!" I truly from the bottom of my sparkly heart, appreciate your business and friendships!! Feel free to call, text, email or message me on Facebook.